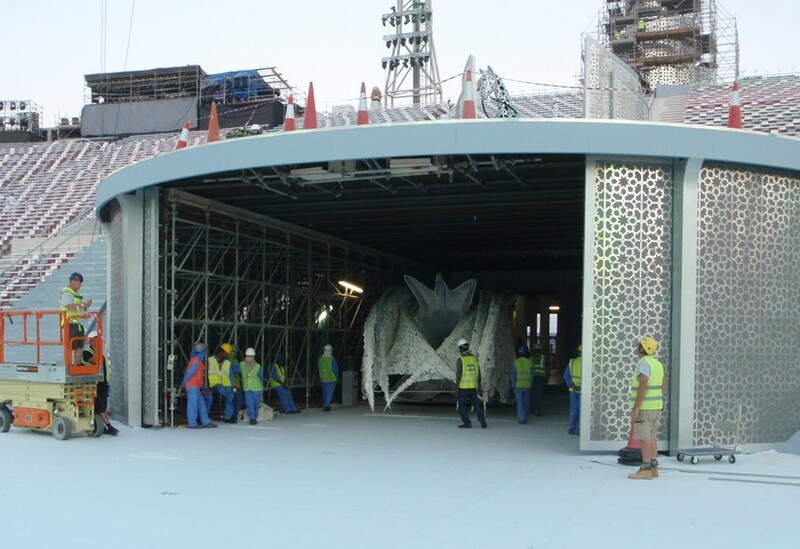 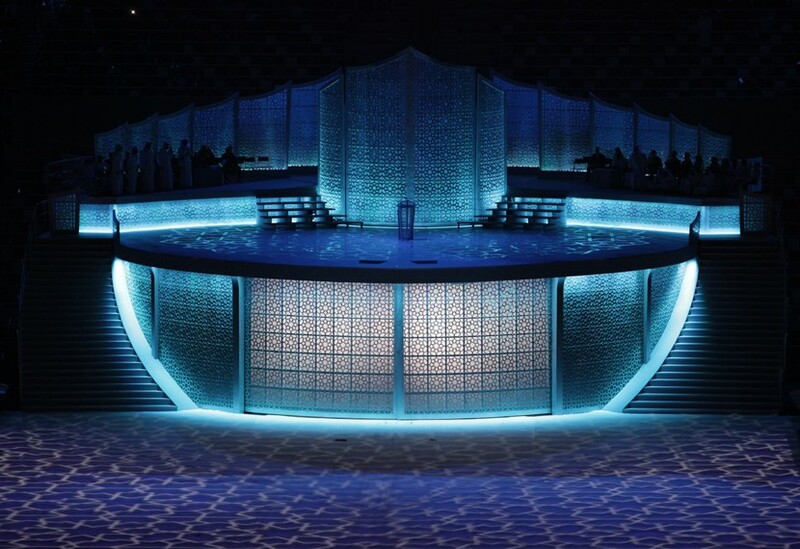 This project allowed our workshops just three weeks to manufacture the various stage and scenic elements before they were shipped in kit form, to be fitted precisely while on site during the 16-day build. Our new twin-headed CNC waterjet cutter played a vital role, quickly producing large quantities of intricate fretwork which was used throughout the beautifully lit Eastern Stage and the towering feature of the Ziggurat, which contained the ceremonial flame. 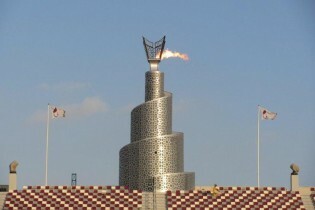 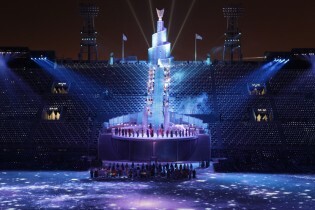 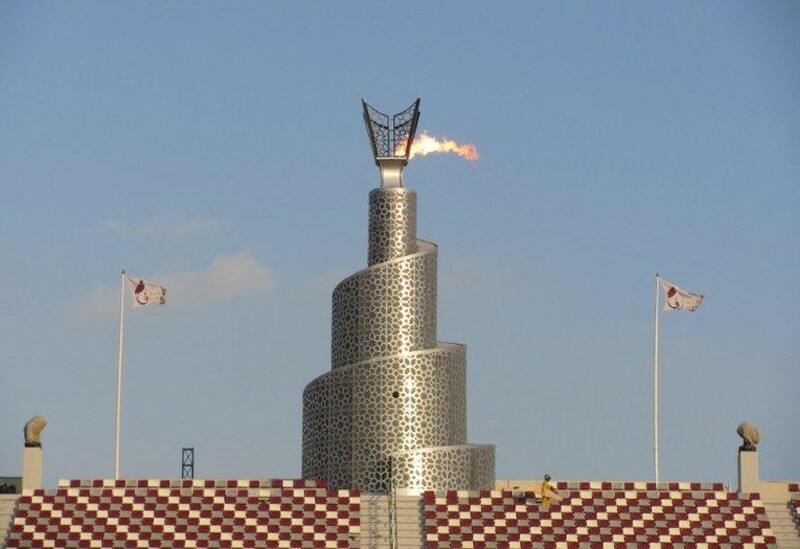 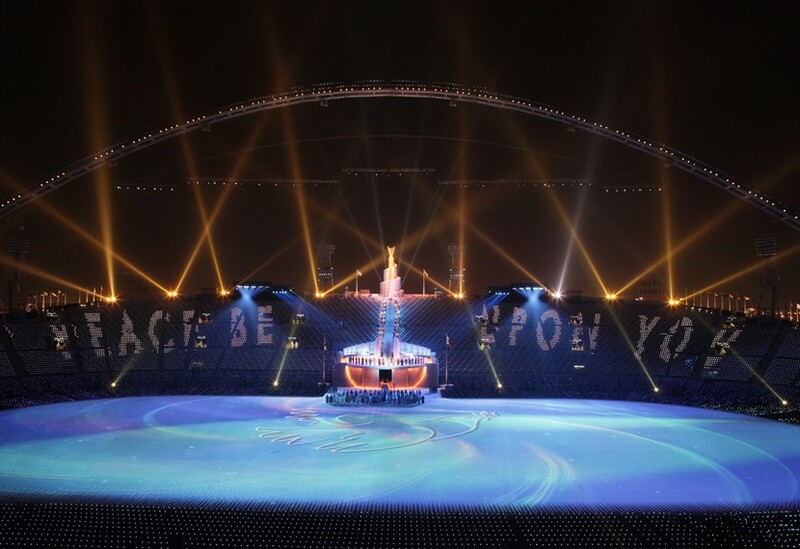 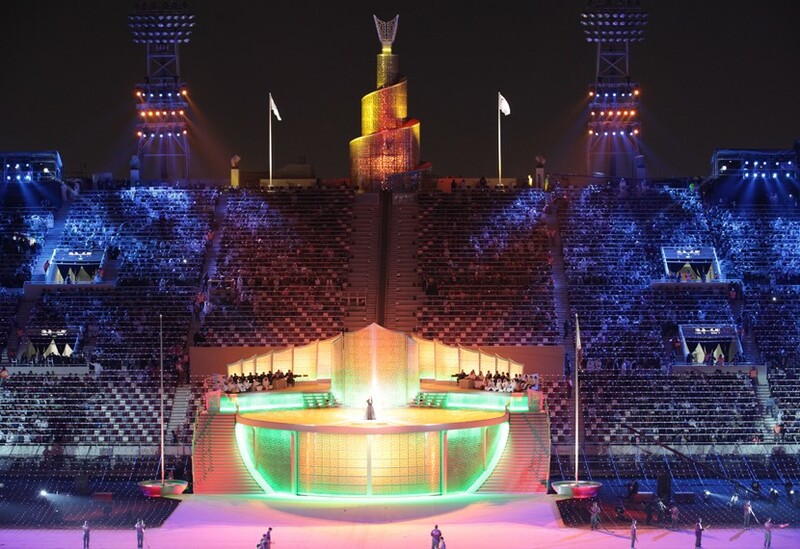 A platform carrying the torch bearer glided smoothly from the stage to the Ziggurat base, its motion fully controlled by our Qmotion system.